Ever since we bought our new home we’ve done a lot of house projects. Once we get the project done it is such a reward. Seeing that project and how our hard work has paid off is so nice! One of my favorite projects in our house has been our kitchen redo. We started out with a really outdated kitchen. 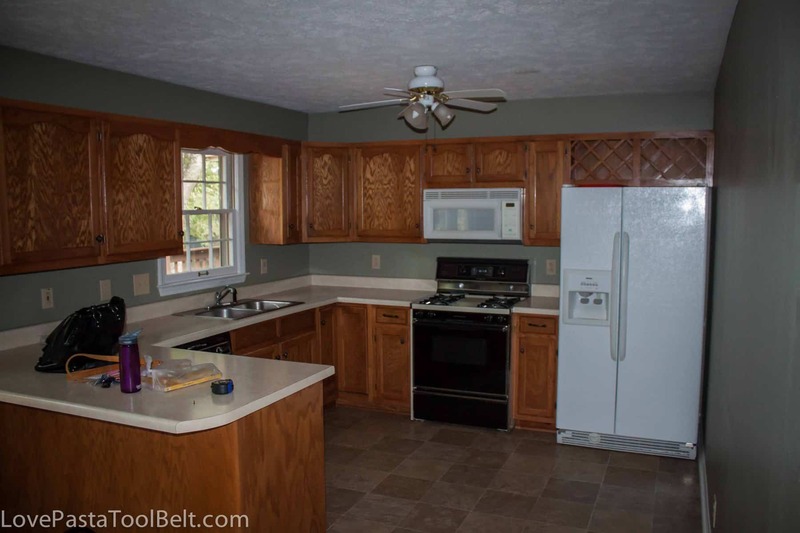 The cabinets were oak, the floors were an ugly linoleum and don’t even get me started on the wall color. The first thing we did was knock out a wall to create the open concept we wanted. We painted the kitchen cabinets a cream color and put in hardwood floors. We finished off the room by painting it a relaxing blue/green color. Aside from knocking out the wall we did all of the work ourselves (with the help of my dad and brother-in-law). I remember walking in after we had been away at a wedding one weekend, the floors were almost completely done, my dad had painted the walls and cabinets and that was my love it moment! The next room we’re planning to redo is our bonus room. This corner of it is my office area. You can tell the room is in desperate need of a makeover. 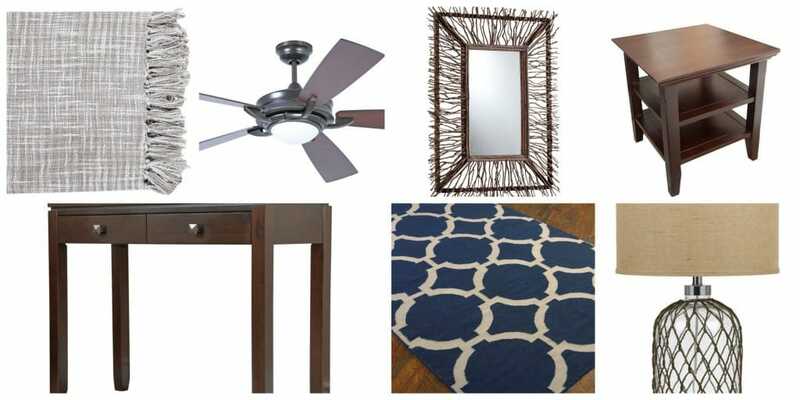 I have loved checking out Build.com to find some great inspiration for our bonus room makeover. We’re planning to paint the walls a grey color. I’m going with navy blue and burlap/earthy accents. 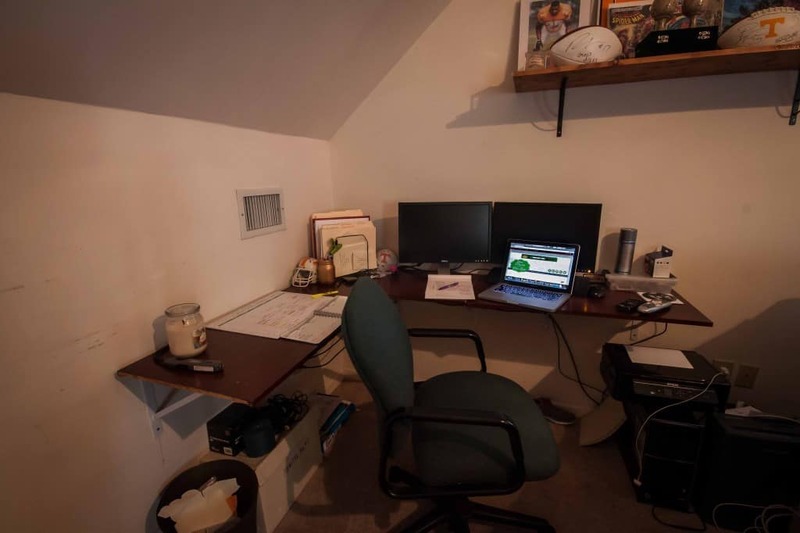 It’s still the man cave so I have to run all my design ideas by my husband. Fortunately he’s pretty easy going about it and once I came up with this design plan he loved it! We are planning to start painting this weekend and then I can’t wait to start purchasing my pieces to get this bonus room done. I’m going for a really cozy vibe. We spend most of our time in the bonus room versus our living room because it’s where we keep our big tv and it’s our most relaxed room. Do you have a room you’ve had a love it moment with? I’d love to hear about it and you can share it on Twitter or Instagram with #loveitmoment for a chance to win a $1000 shopping spree on Build.com. That would be pretty great to get a room makeover started! This is amazing! I love how the kitchen turned out. We are in the process of building a home right now and we are so excited, but we have hardly any furniture to decorate. I’m going to pin this and save it for later so when we start getting ready to decorate I can get some great ideas! I’m looking forward to seeing the transformation. I’m sure it will be great! Wow! Your kitchen looks beautiful! 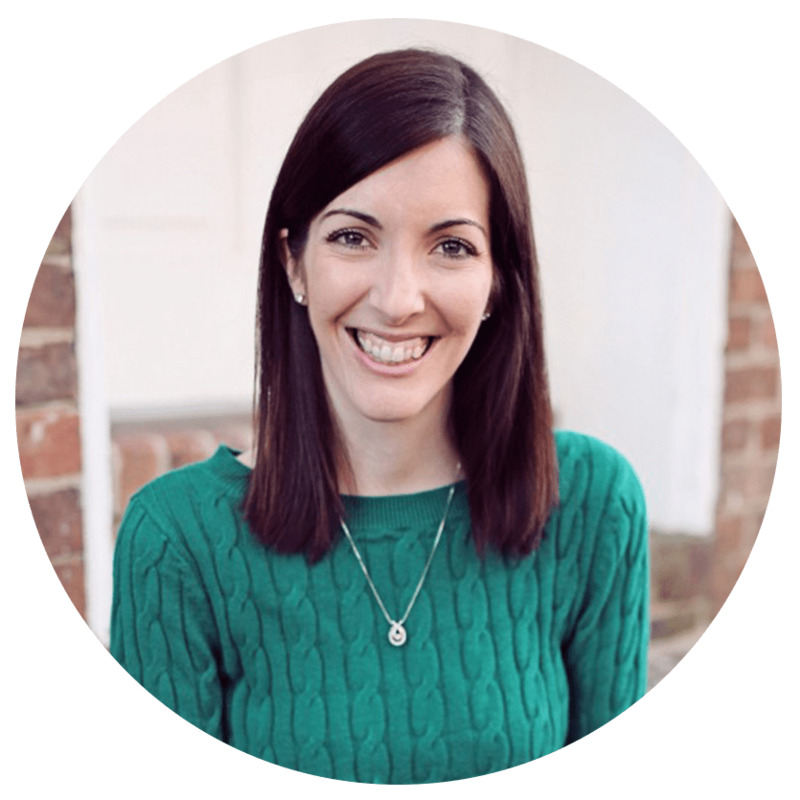 I love seeing the before and afters…I can relate to that feeling of pride (and exhaustion, ha!) once a project is completed. It’s nice to see your hard work and efforts come to life! Absolutely love the cabinets! I’m a huge fan of white based cabinetry, the whole kitchen came out terrific!!! WOW What a difference between before and after! I really love the new look of the cabinets! 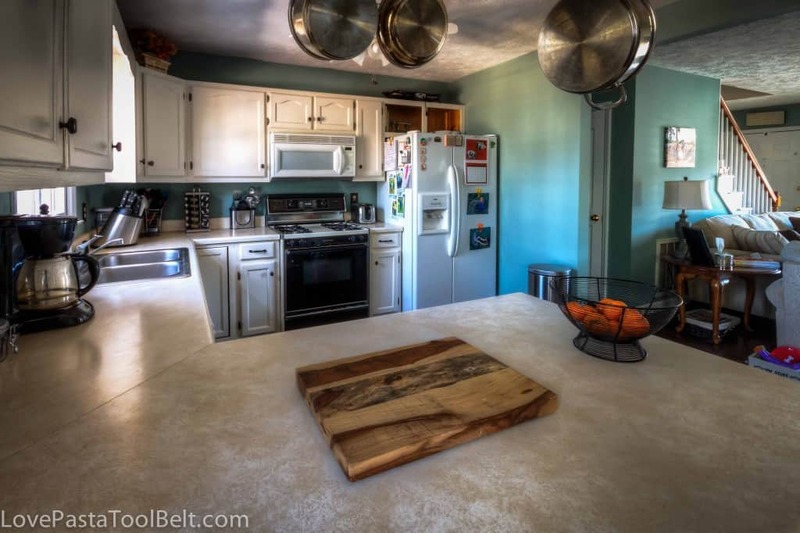 I love what you did with your kitchen! Your bonus room is going to be awesome! I love your kitchen! I’ve never heard of Build.com–I gotta check it out now! Kitchen looks great! 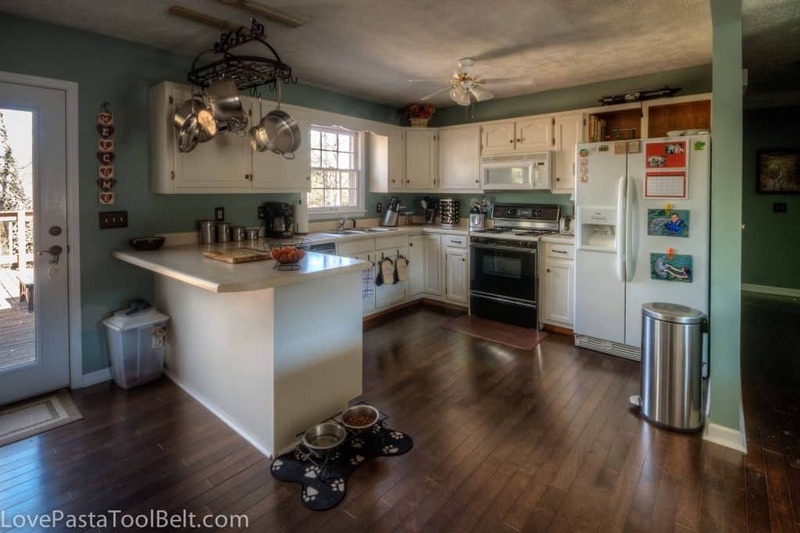 I love the light cabinets…I can’t wait to paint my kitchen. That really turned out nice. I love the white cabinets. It turned out beautiful. I love the white cabinets. I love the furnishings you have picked for your bonus room! What a great makeover. I love the white cabinets. Love the inspiration behind your makeover, I can’t wait to see how it turns out!